Exclusive design and color cobinations. Before USD 284,00 IVA Inc.
Don't miss this exclusive design leather handbag in extra soft leather. Many leather colors and combinations provides elegance, along with the art detail hand painted by Carolina. Fully lined with Carolina's design pattern fabric. This leather backpack is 100 % finished top quality, handmade selected bovine leather. - Closes on top. One large inner pocket.Two outer pockets. 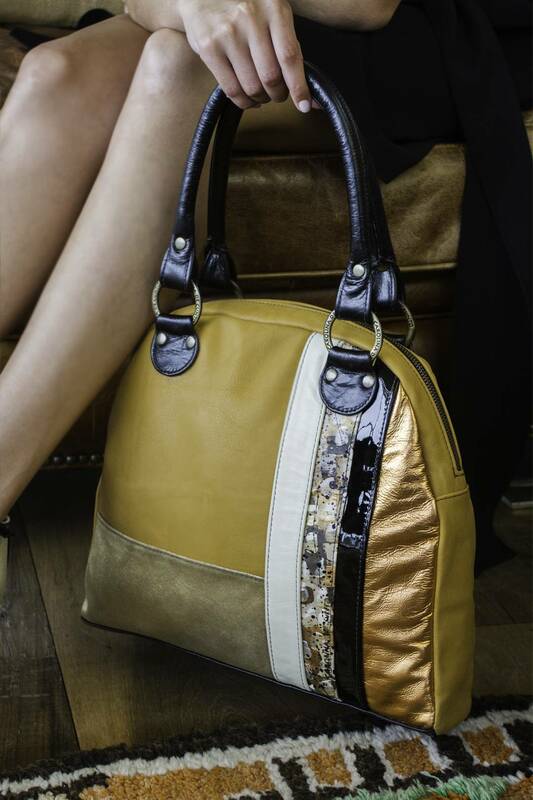 - Available color: Super soft mustard color leather, gold, black and white stripes, art detail made by Carolina.